Android provides contact, calendar and bookmark sync with Google servers, but alas, no support for native sync with other important information that as a student Get The Best Retail Software For FREE As A Student Get The Best Retail Software For FREE As A Student Read More , I desperately need, such as tasks, documents Get Easy Access To Your Documents Stored Online With Google Docs For Android Get Easy Access To Your Documents Stored Online With Google Docs For Android The Google Docs app for Android provides quick access to your documents and collections stored online with Google. Within the app you can view, create, edit, upload, and share files or take pictures with your... Read More and notes. There are many other great services you can rely on, such as Evernote, DoIt.im and others. I, for one, needed my PDF slides How to Extract Images From a PDF and Use Them Anywhere How to Extract Images From a PDF and Use Them Anywhere PDF files can be containers for embedded images. We show you how to extract images from a PDF file and save them to your desktop. Read More to review for class so I definitely needed to find a way to sync it to my Acer tablet What You Need to Know About Android Tablet Security What You Need to Know About Android Tablet Security As tablets become more popular, they’re serving as stand-ins for computers for some users. Although most people still own a PC, tablets are particularly nice for web browsing and online video, making them common couch-side... Read More . 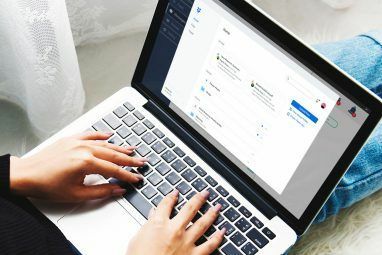 Dropbox Dropbox Automator Sends Emails, Converts PDFs, Downsizes Files & More Dropbox Automator Sends Emails, Converts PDFs, Downsizes Files & More For many computer users, Dropbox is the quintessential online storage and file sharing service for accessing files between computer devices. If you're heavy user of Dropbox like I am, you might be interested in a... Read More is my preferred syncing service, which works wonders on computers. However on mobile devices, especially Android devices, it leaves a lot to be desired, mainly because of the lack of support for two-way syncing goodness. Dropbox may or may not implement this feature soon, but in the meantime, Dropsync does a superb job of uploading and downloading files in real-time (Pro version), or other intervals if you so prefer. 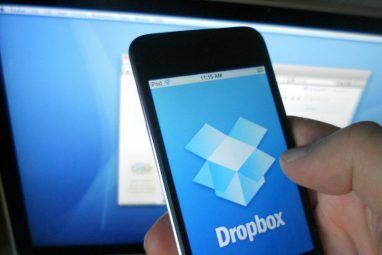 If you use Dropbox, this app might just make your mobile life easier. 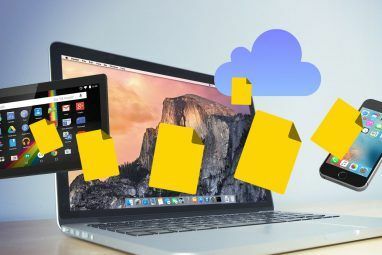 Dropbox doesn’t just shine for syncing files so you’ll have the same set on different devices that you own, but it’s also great for backing up those same files in case of any emergency. It’s not the only one that does that either. SpiderOak SpiderOak - An Online Data Backup & Sharing Solution [Cross-Platform] SpiderOak - An Online Data Backup & Sharing Solution [Cross-Platform] Read More and SugarSync are also excellent syncing services with mobile apps, and while I tried all three services, I stuck with Dropbox because it had virtually no learning curve, it had clients for all three OSes that I’m familiar with, and it synced things without noticeable delay. There are two versions of Dropsync, free and pro. The version I’m testing here is the pro version that’s available for $5.99 on the Android Market. When you download and launch Dropsync, there’s not much to see beyond the status and preferences screens. The first screen shows the status of your syncs, how much has been transferred to your device or to Dropbox’s servers, as you can see in the next cropped screenshot. If you tap on Settings, that’s where it gets a bit more interesting. You can choose which SD card folder to sync with which Dropbox folder in the Settings. If you’re using this on a mobile phone and need to set limits on how much data you’re consuming with this app, you can set file size limits for all the files you’re transferring whether they going from or to your Android device. If you’re watching your limits, it’s probably good to uncheck the Instant Upload option, which uploads and downloads changes in any modified files in real-time (pro version only). You can also set Dropsync to sync every 15 minutes, 1 hour to once a day. This app is not optimized for tablets. In fact, you’ll notice it allows you to set whether transfers occur via Wi-Fi or your mobile data connection. Other options include whether to offer notifications on each sync. I’ve used this app for a semester and would recommend to uncheck that option as it gets tiring to have to clear that message on a tablet, where there’s no “Clear All” button, at least not on my tablet as far as I know. There are several differences between the free and the pro version. First, as I’ve mentioned, real-time syncing is only available for users with the pro key. There are also more size limits you can pick from so only files up to a certain file size are allowed to be transferred, which is handy especially if you’re on a data plan with caps. Apart from having no ads, the last benefit of the pro version is that you can sync more than one pair of folders, which for me was the main reason I needed to purchase this version. Having relied on this pro version for over a semester, I think it just allowed for fewer headaches and more efficiency. There are a number of similar apps that can sync your Android device with your computer. Which are the applications you prefer? Let us know in the comments section below. I can't get it to do anything. After I get past the "select local folder" and then to Select a dropbox folder, it won't even respond. Can't type it in, can't paste from clipboard. Have new Samsung Tab 10.1 and don't have a problem with anything else. Really irritating. What is the file name for the calendar on the android telephone to sync with this? Hi, would just like to ask about this app. 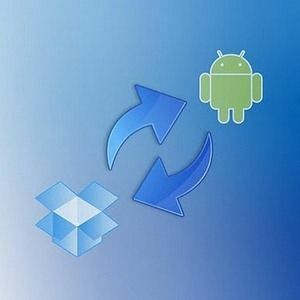 Well basically I want a 'desktop' like version of dropbox on my android phone which can 2way sync so I can always have all my updated critical files with me. 1. can it download my whole dropbox folder and store it on my phone instead of assigning a folder to be uploaded to dropbox? 3. to save on mobile bandwidth; i want it to sync (both ways) automatically only over wifi. 4. ability to manual upload and download files over 3G if the need arises. if yes to all; then I'm sold! 2. It cannot store inside phone's internal storage. I tried browsing through system folders and the app would not let me choose those system folders to sync with Dropbox. It can only sync with SD card folders. Aside from that, points 1, 3 and 4 are covered by this app's Pro version. I checked that the Pro version can in fact select the whole Dropbox to sync with an SD card folder, and it also has a Wifi sync only option in the Pro version (but can also use mobile data to sync). Also, could you explain the "2-way sync" limitation? The 2-way sync limitation lies with the Dropbox mobile apps. The apps themselves are simply places for you to download files from your Dropbox. That's why I use this third-party app Dropsync so that it will sync your phone's SD card with my Dropbox folders just as if it was syncing a laptop computer with my Dropbox folders. Ah, okay, makes sense. I've been using Dropsync so I didn't even realize that the Dropbox app itself had that limitation. Thanks! The Pro version is worth it for that and the instant upload option! It amazes me that Dropbox for Android still doesn't have two way sync at this point. Yeap, I'm still waiting for the day Dropbox will offer true two-way sync on their mobile apps.